Efficient Heating/Cooling: Dual reservoirs double your efficiency. Independent cooling and heating reservoirs permit instant changeover from one bath to the other. 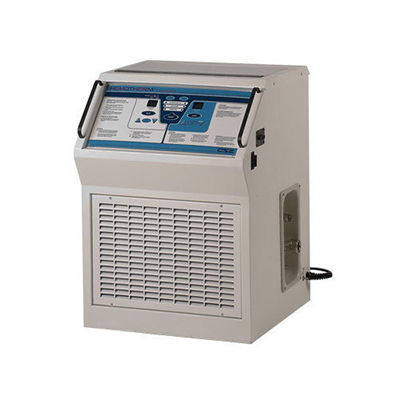 Each reservoir has its own control mechanism and temperature display. The efficient pump produces a flow rate higher than any competitor’s units. The Hemotherm® lowers reservoir water temperatures at a rate that rapidly produces a significant reduction in blood temperature. Patient Safety: Built-in secondary Hi and Lo safety thermostats and an external circuit breaker which can be reset to enhance the safe design of Hemotherm®. 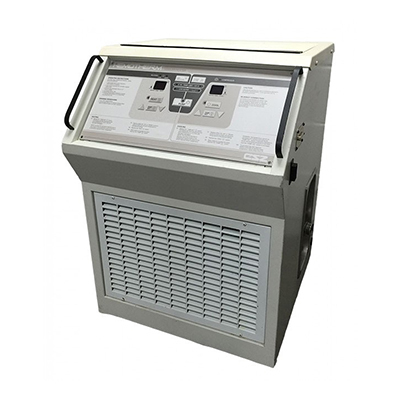 Convenient: Ice is not required with this system, eliminating mess and providing the simple setup. For additional convenience, an optional remote control is available to change and monitor settings of the Hemotherm® from a remote location. Microprocessor control provides an easier, more accurate operation. Large LED readout allows monitoring at a glance. Eliminates the need for calibration. 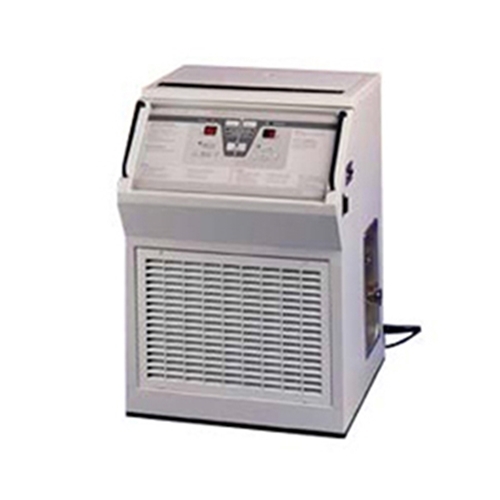 Ease of Use: Mechanical refrigeration means easy set-up, quick response, and minimum clean up. Eliminates the preconditioning process. Hemotherm® takes up just 3.4 sq. ft (0.3 sq. m) of floor space and moves easily on conductive swivel casters. Reservoir Fluid: Use only sterile water or water that has been passed through a filter of less than or equal to 0.22 microns.